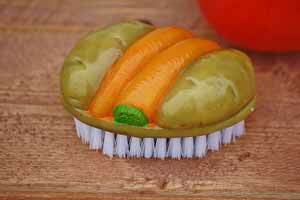 Use vegetable brushes to scrub off the dirt and grime on veggies. 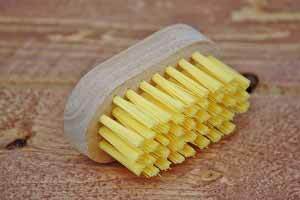 These small, bristly brushes are a must have for gardeners and chefs. Save time and energy when scrubbing potatoes. They can also be used as a scrub brush for tricky places on dishes. 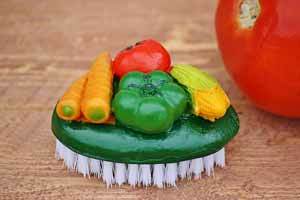 Beautiful and long lasting veggie brushes!